MAS Corp. is a management advisory firm of experienced thought leaders who deliver solutions for mid-market to large multi-national companies. Taking an agenda-neutral stance, MAS advisors are expert at using applied knowledge and navigating internal and external issues to deliver greater return on investment and sustainable operational excellence for their clients. Michael Holland founded Management Advisory Systems, Corp. (MAS) in 1993 with a group of former “Big Six” managers and industry experts. He has led and participated in hundreds of business driven technology projects focusing on operational excellence utilizing state of the art enterprise technology over the past twenty years. Since founding MAS he has expanded the service offerings of the company, providing depth as well as breadth to a diversified portfolio of projects and clients as a trusted advisor of applied knowledge. Prior to founding MAS, Mr. Holland worked for Arthur Andersen and Price Waterhouse/Coopers as a practice director, responsible for supervising business driven technology projects for clients ranging from mid-size organizations to global enterprise clients. 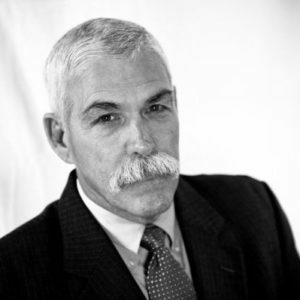 Allen J. Graham has over thirty years’ experience working with both private and public sector companies. His management expertise in finance and operations has helped companies achieve operational excellence in a multitude of industries for both domestic and international clients. He has hands on management and consulting experience in a broad spectrum of industries; including oil exploration, commercial finance, insurance, software development, manufacturing, warehousing and distribution. Prior to joining MAS Allen was most recently CEO of a mid-market manufacturing and distribution company. 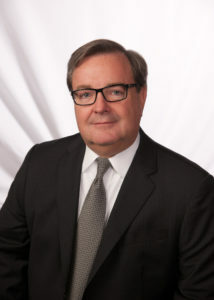 Allen earned a BS degree from the Smith School of Business at the University of Maryland, an MBA from the University of New Haven, and has practiced as a CPA in the State of Connecticut. Gene Rider has devoted over 30 years of his career providing risk assessments, designing safety assessments, creating safety standards and safety training programs in support of his clients’ safety processes. Prior to joining Exponent, Mr. Rider was an independent consultant and was President of Intertek Consumer Goods North America, a leading provider of quality and safety solutions to the consumer goods industry. Mr. Rider was named an inaugural recipient of the U.S. consumer Product Safety Commission (CPSC) Chairman’s Commendation Circle Award, which recognizes people and groups and who have demonstrated consistent and significant contributions to improving the safety of children’s and other consumer products and to the prevention of deaths and injuries associated with using such products. Working closely with the medical and scientific community to develop innovative technologies for assessing the risks posed by consumer products, he has achieved influential status as a leading voice in injury prevention. The technologies developed under his management have been shared with the U.S. CPSC and, even more importantly, have been applied to help consumer product companies effectively integrate safety into their product designs and business processes.